At 0112 hrs. 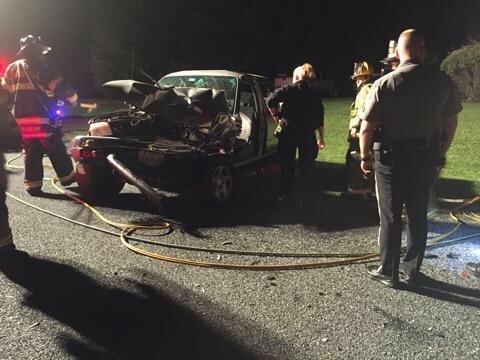 Station 3 was alerted for an MVA with entrapment on Overlook Drive in the 3-6 Box. Rescue 3 & Engine 33 responded with 8 members. Rescue 3 arrived on location with a 2 vehicle MVA with one subject trapped. 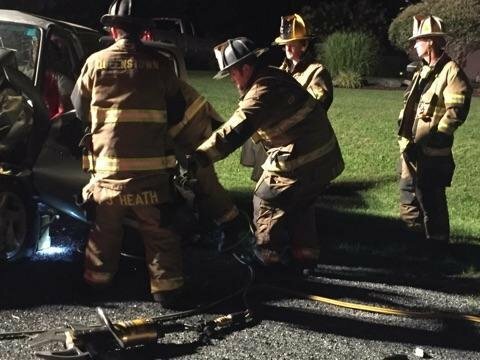 Station 3 equipment extricated that patient, who was later flown to Shock Trauma by MSP Aviation. Officer 303 (Nelson) had Overlook Drive command. Station 3 equipment cleared the call at 0233 hrs.